Today, at this moment, as I write this very entry, the sun is out! There is blue sky with some high wispy clouds. The little Pine Siskin are fluttering around the bird feeder. My tulips are working their way up in my flower beds. All the perennials are showing new growth. Heck, I even have one plant with some flowers on it. Spring is certainly in the air! After such a horrible Spring season last year here in the Pacific NW, we are very happy to see a bit of “normal” weather come back to us. 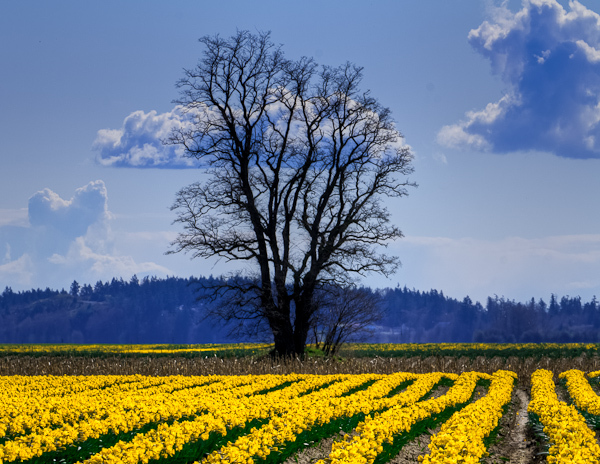 Here in the Skagit Valley, the best indicator that Spring is on track and arrived are our daffodil and tulip fields. And what a great place to visit if you can during the end of March into April. We even spend the whole month of April having a Tulip Festival. In the past couple years, by the time I get out to the fields the daffodils have already been blooming for a few weeks. So they are certainly not looking their best. Well, I wasn’t going to do that this year! On Friday, my hubby and I scooted out of work a little early to kick off the weekend and enjoy the sun. We stopped at the The Farmhouse for lunch. Yummy as always! We then went off to check out the daffodils. Scooping out the bloom map by RoozenGaarde we knew there were a couple of fields in bloom. The first field we went by was just starting to get some blooms. So we continued on down the road. As we got closer, you could see the field of yellow. Almost like the beacon from a lighthouse guiding us to the field to where we needed to be. I quickly parked the car and set up my camera. Quick side note to this picture outing … While I was taking pictures, we met a delightful older couple, probably in their 70’s. They had come up from the Seattle area for his birthday. It just added to the joy of the day to see them enjoying each others company and being out and about together. I told my hubby I want to be like them when we get older. I am so happy with the way this picture turned out. I had my camera do three bracket photos (just learned about that last week). Used Photomatix to bring them together for the HDR image. I then did some final editing in Lightroom adjusting the yellow in the daffodil, bringing out the green of their stems, and adjusting the blue of the sky. While I know the picture is “perfect”, it is still probably the best I have done to date. I hope you enjoy! Today I woke up once more to snow on the ground. And even as I write this, there is snow coming down. Not enough to worry about, but it does make you wonder if Spring is just around the corner. I am looking forward to the tulips blooming. To all the birds that will come visit my feeders. To just having some warmth. Until then, I will take what mother nature gives me and turn it into a picture! This last Tuesday my hubby and I took off early from work. It was once again another day we had woken up to snow on the ground. By later in the day, some had melted off, but the further east you went (towards the Cascade Mountains) the more there still was on the ground. We went out in the afternoon and I played around a little more with HDR and tried out Photomatix. The sad part is while in trial version it is watermarks, but I like the program and plan to buy on payday! 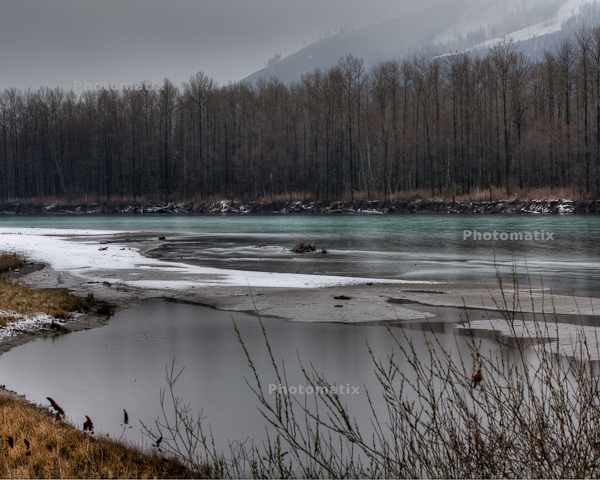 🙂 These are both of the Skagit River. I have now have had my camera for about 3 years. Over the three years I have a learned a lot. First, was just the fun of using of it and how much better my pictures looked. Then it came time to step away from the “point and click” and actually learn more about aperture, speed, iso and taking pictures in RAW. 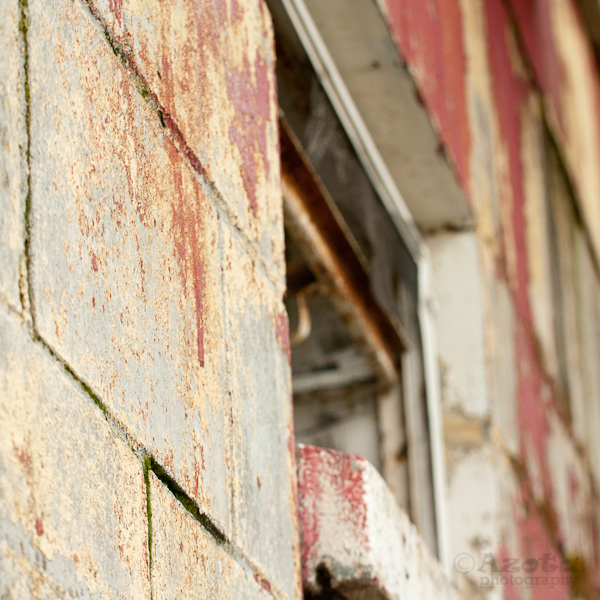 This last lesson came after taking a two day class that went over the basics of photography. It was a good class that helped me confirm what I already know and helped with a couple things I wasn’t strong on. A big kick in what made this change for me was Lightroom 3. It made it easier for me to edit my photos and be more creative with them. And I don’t have to have a lot of knowledge on how to use it. Unlike Photoshop, that I was using before. Now, don’t get me wrong. Photoshop is a excellent program, but I felt completely lost using PS. So, I suppose this is in part suppose to be a photo blog. ha! The following photos go from what the original photo looked like the final photo that ended up being my favorite I posted to Flickr this week. This was the original photo. I saw potential in it, so flagged it as one to work on. I took the photo and fixed the exposure, brightness, contrast and a few other things. At this point I was happy with it, but really felt more could be done with it. I did though go ahead and post this one to Flickr. I took the last photo and added on of tons of filters Lightroom has to choose from. I then made a few more adjustments with grain and vignetting. And the final result was this photo. And I just love it! I hope you enjoy it also. When I got up today I couldn’t decide if I wanted to take pictures or not. It was overcast outside, but I knew that is actually better than it being sunny. But it is still a little chilly outside, so that didn’t get me excited. After a little back and forth my friend David on Twitter, I decided I would head out. I grabbed my camera and hubby (decided to add some garage sailing into the mix) and off we went. 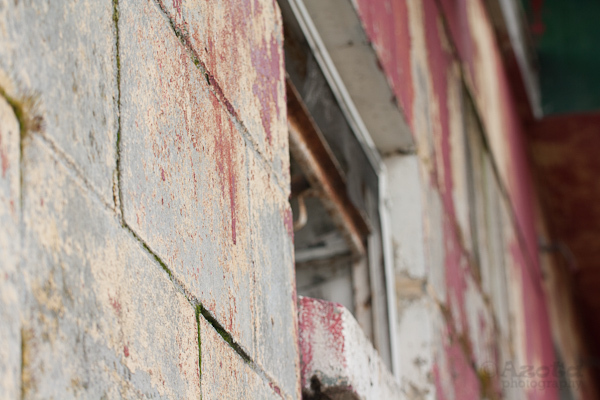 We headed over to Anacortes. One – there was a garage sale and local place that sells estate items was open. 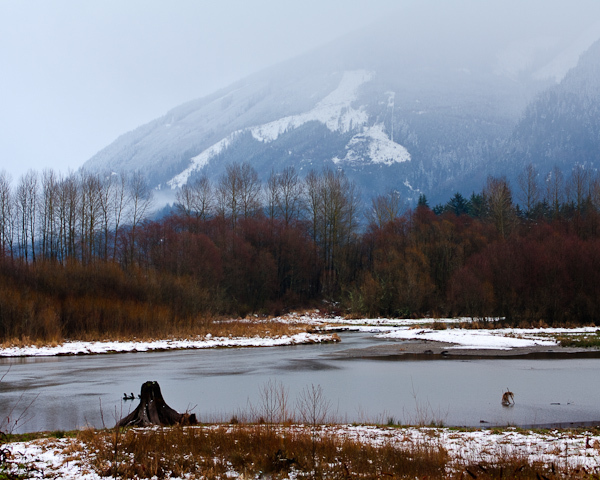 Two – one of my places I go to catch eagles is over there. 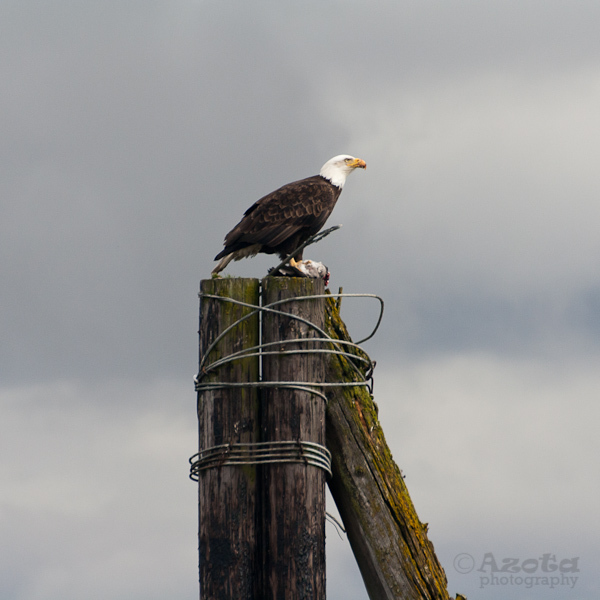 On the way into Anacortes, I wasn’t disappointed with my eagle spot. There was an adult and a juvenile. Snapped some photos and off we went. We made a quick stop at the gas station down the road by the casino. I’m waiting in the car looking at my pictures when something in the distance on a power pole catches my eye – a white head. I rush out of the car and aim my camera over there. Sure enough, another adult eagle! A worker comes over and mentions there is a pair of eagles that have a nest nearby. That’s when I see the other one much closer on a piling that is the nearby water channel. He is sitting there munching on a fish. So, off I go to get closer. How excited am I? Very! S/he finally flies off, with fish in claw, to join its mate on the power pole. Josh and I jump in the car and head out. At this point we figure we might as well see if we can find more at a nest we know of on Farm to Market Road (yes, this is an actual road name). 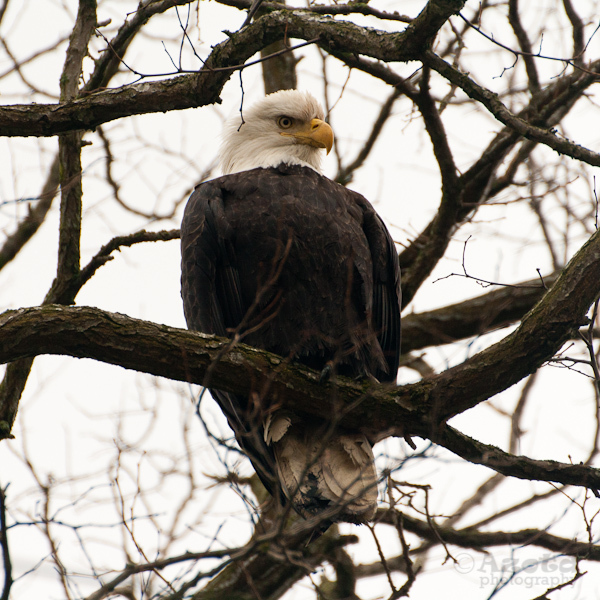 We happen to see an eagle on our way there, but none are around the nest area. So we continue down the road, figuring we will hit another road to head home. But then we see another one it field. Stop – take pictures – head on. At this point we figure we will head into Edison to get some fresh bread from The Bread Store (omg, their bread is so good!!). Well, that is when it gets plan eagle crazy. We start seeing eagles everywhere. They are in the trees all over the place. And in the distance we can see them circling. We stopped at one spot where I captured this photo of 4 of them together. Within viewing distance there was another one sitting in a field and 3 to 4 more in another tree off to the distance. After this point, I’m pretty much done stopping. I’ve gotten plenty of eagle pictures. Right? Wrong!! As we pull into the very small town of Edison, there is and adult and a juvenile sitting in a tree right in front of someone’s house. Talk about jealous! I want eagles in my trees! But there are pretty close to road and so majestic, that I just have stop one more time. So, out I go to grab a picture or two.. or not.. stupid battery! Luckily I got a back-up for Christmas. So, quickly change that out and then I’m able to grab this picture. And that is that. We pick up our bread and head home. 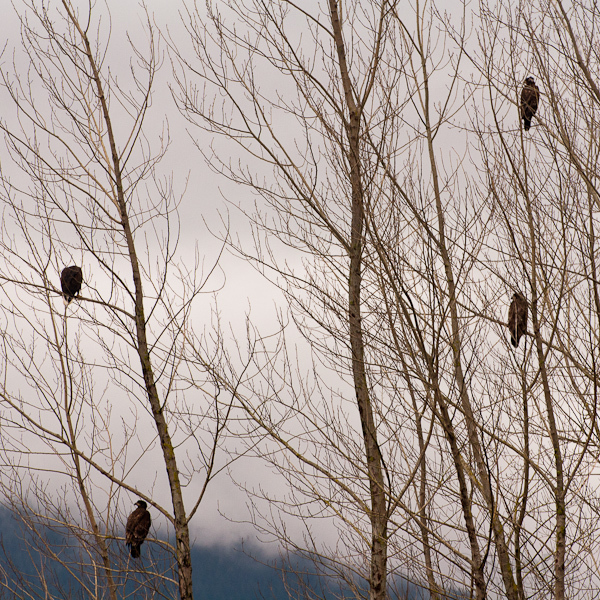 We still manage to spot about another half-dozen more eagles on our way home. What an adventure and I feel so lucky to live in an area that has such a strong population of these beautiful creatures. And to think.. I almost didn’t go out today.